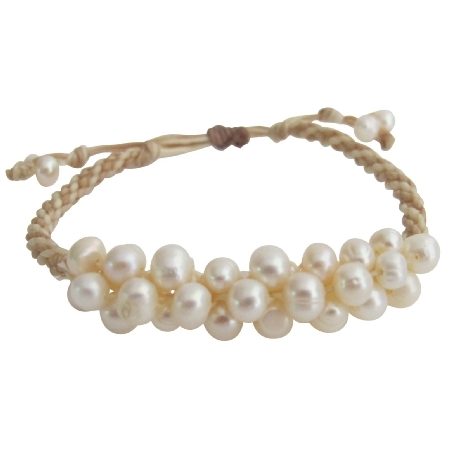 Very delicate & elegant bracelet Freshwater Pearls Hand Knitted off white pearls adorned in beige wax chord interwoven in three layer. The wax chord adjustable accordingly to the size. Wedding Bracelet Medium Width Bridal Cuff Ivory White exclusive Bracelet.